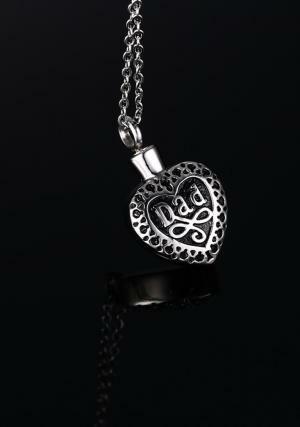 Heart cremation jewellery pendant engraved with the word “Dad” and designed border. 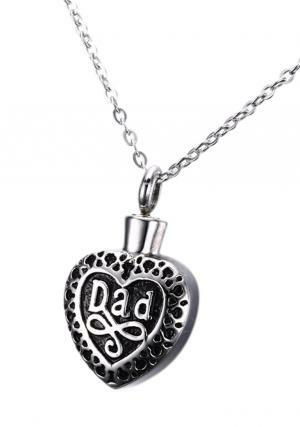 Specially created to store the funeral ashes of your father and can keep along with you. 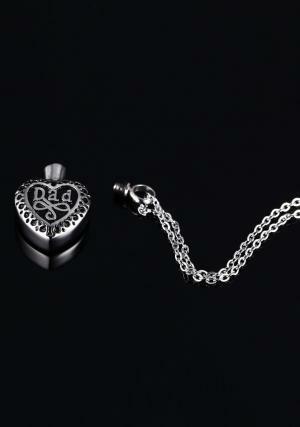 Heart pendant urn has the screw top opening to fill the cremains in it. 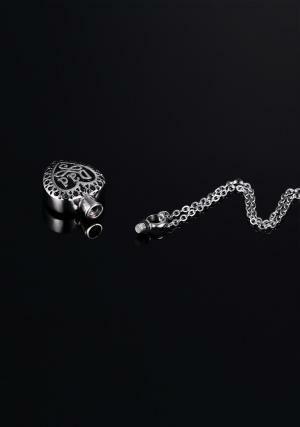 Pendant urn is designed by our artisans and the stainless steel material is used to build. 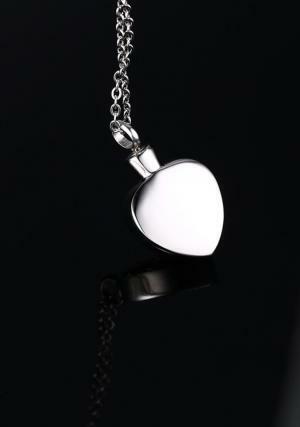 Capacity of the pendant urn is 1.1 cubic inches of ashes.